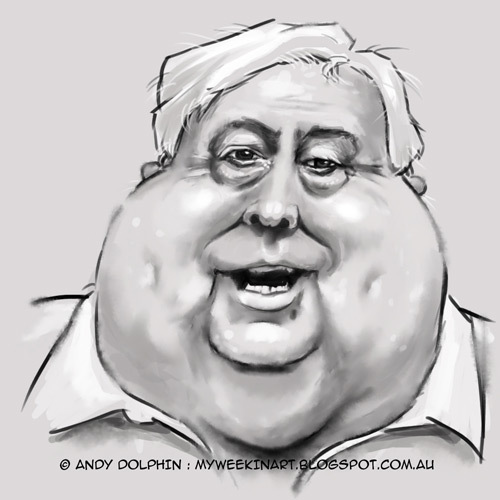 Considered by some to be the current leader of the Australian Parliament, larger-than-life MP Clive Palmer is the subject of my latest caricature sketch. Despite some obvious features, Mr Palmer was surprisingly difficult to caricature. This isn't exactly a finished piece, but it will do for now. Before copying, please read the copyright details at the bottom of the sidebar.